On Nov. 11, America will pause to honor and recognize its veterans. But how did this day really come about? The holiday originated in November 1919, a year after the end of World War I, said Lt. Col. Joe Buccino, spokesman for the 82nd Airborne Division. The day was originally called Armistice Day, in honor of the agreement signed between the Allied and Central Powers. 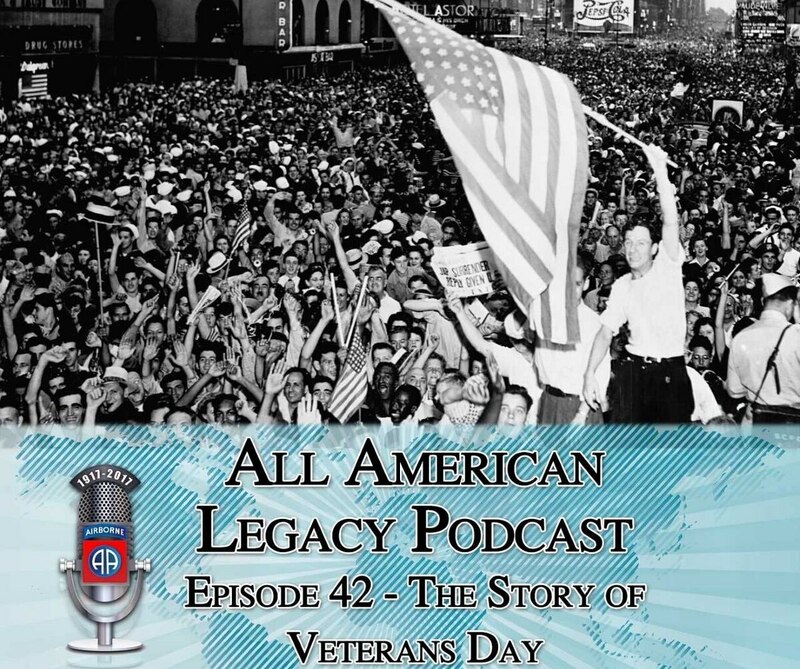 The 82nd Airborne on Nov. 11 will release a special episode of its All-American Legacy Podcast that explores the history of Veterans Day. The podcast series was launched to celebrate the 100-year history of the storied Army division. When the Armistice was signed, “people thought the United States would never have to fight this kind of a war again,” Buccino said. That optimistic outlook was embodied in another name for the Great War often used at the time: the War to End All Wars. Armistice Day grew out of that outlook thanks to President Woodrow Wilson, said Philip Nash, an associate professor of history at Pennsylvania State University who is featured in the podcast, in an interview with Military Times. Wilson broadcast a message to the American public, calling for a day of remembrance on the first anniversary of the end of the Great War. At that point, the holiday was still called Armistice Day, because there hadn’t been a World War II yet, Nash said. It wasn’t until after the Korean War, in 1954, that Armistice Day shifts from a day honoring the end of the Great War to a day that honors all veterans, Nash said. By that point, World War II and the Korean War had touched such a large segment of the American population that pressure had built to redefine the holiday as something much more comprehensive than what was originally conceived, Nash said. The evolution of the holiday is reflected across the Atlantic Ocean as well, Joseph Coohill, who tackles historical myths on the Professor Buzzkill podcast, told the Military Times. Coohill also is a guest on the 82nd’s podcast. “Other countries, specifically England and France, have sort of taken Armistice Day to mean a kind of Veterans Day that includes, certainly, all wars in the 20th century,” Coohill said. At the conclusion of World War II, both England and France continued to ally with the United States in many conflicts of the Cold War. The sacrifices their soldiers made in many decisive battles has colored how they observe the holiday today, Coohill said. “When the British celebrate Armistice Day, they’re not just observing Nov. 11, 1918, they’re observing the end of World War II and the end of the Korean War as well,” he said. During the Vietnam War, the holiday became a flashpoint of disagreement in the United States, Buccino said. Now, although some are concerned the holiday has simply become an excuse to barbecue and take a day off work, there is much more reverence towards veterans as a whole, the three podcasters conclude at the end of the episode. The full episode will be available for free Nov. 11 on iTunes. You can also view past episodes on the 82nd Airborne Division’s YouTube page.